A Russian Rokot launch vehicle – with a Briz-KM Upper Stage – has launched the Sentinel-3A spacecraft for the European Space Agency (ESA) on Tuesday. 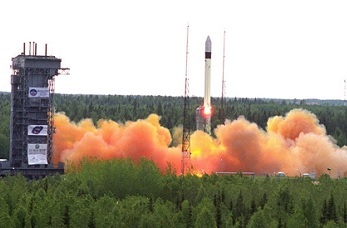 The launch took place from the Eurockot Pad LC133 at the Plesetsk space center in northern Russia, with T-0 marked at 17:57 UTC. This Russian launch system is tailored to payloads requiring a performance of at least 1,950 kg for launches into Low Earth Orbit (LEO). The three-stage liquid fuelled rocket has dedicated launch facilities at Plesetsk Cosmodrome under the control of Eurockot. Rokot – also referred to as “Rockot” – is a fully operational, three stage, liquid propellant Russian launch vehicle which is being offered commercially by Eurockot Launch Services for launches into low earth orbit. The German-Russian joint venture company was formed specifically to offer this vehicle commercially. 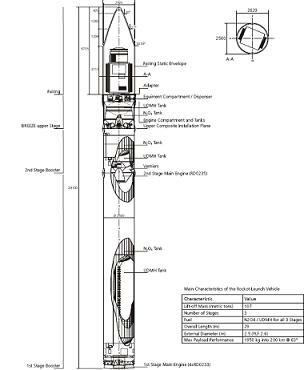 The Rokot launch vehicle uses the SS-19/(RS-18) Stiletto ICBM for its first two stages. The SS-19, which was originally developed as the Russian UR-100N ICBM series, was designed between 1964 and 1975. Over 360 SS-19 ICBMs were manufactured during the 70s and 80s. The Breeze-KM third stage uses a re-startable storable liquid propellant engine that has been used in many other Soviet space projects. The booster unit – which provides the first and second stages of Rokot – is taken from existing SS-19 missiles and is accommodated within an existing transportation/launch container. The third stage – which provides the orbital capability of the launcher – is newly manufactured. This upper stage contains a modern, autonomous control/guidance system which controls all three stages. The upper stage multiple engine ignition capability allows implementation of various payload injection profiles. The Rokot second stage has an external diameter of 2.5 meters and a length of 3.9 meters. It contains a closed-cycle, turbopump-fed, fixed main engine designated RD-0235 and verniers designated RD-0236 for directional control – as listed in the 200-page vehicle overview presentation (L2). Separation of the first and second stages is a “hot separation” – due to the fact that the vernier engines are ignited just before the separation. The exhaust gasses are diverted by special hatches within the first stage. After separation, the first stage is braked by retro rockets, then the second stage main engine is ignited. 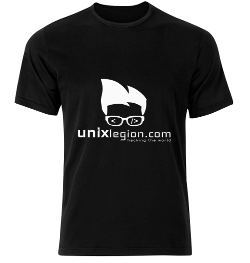 Like the first stage, it contains a common bulkhead and a hot gas pressurization system. The Breeze-KM stage – which has now been adopted as the standard version of the third stage for the commercial version of Rokot – is a close derivative of the original Breeze-K stage flown during the first three Rokot flights. It comprises three main compartments which include the propulsion compartment, the hermetically sealed equipment compartment and the interstage compartment. To allow larger satellites to be accommodated and to reduce dynamic loads, structural changes to the Breeze-K stage were introduced. The structure of the equipment bay of the original Breeze-K stage has been widened and flattened by redistribution of the control equipment. The launch marks the third different type of launch vehicle to be used to loft a Sentinel spacecraft. A Soyuz ST-A rocket lofted the Sentinel-1A mission in 2014. Sentinel-2A rode on Arianespace’s Vega rocket in 2015. The 1,200 kg Sentinel-3A is the third satellite to be launched for Europe’s Copernicus environmental monitoring programme, previously known as the Global Monitoring for Environment and Security programme (GMES). Sentinel-3A utilizes a multi-spectral optical mission which provides sea/ land colour data and surface temperatures and an altimetry mission contributing to the determination of the sea surface, ice surface and in-land water topography. In addition, as complementary objectives, the Sentinel-3A mission provides vegetation, fire identification and atmospheric products. As such, Sentinel-3 is arguably the most comprehensive of all the Sentinel missions. The Sentinel mission involves constellations utilizing two identical satellites for each objective to provide optimal global coverage. Launches of the satellites will be conducted throughout this decade and into the 2020s. 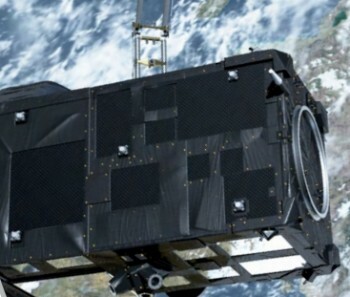 ESA is developing six families of Sentinel satellites specifically for Copernicus. 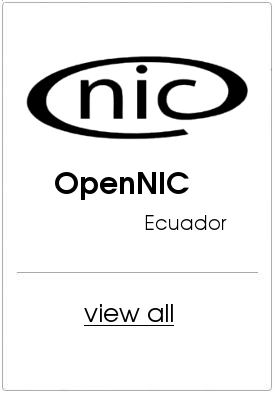 Each operational Sentinel system comprises two identical satellite flight models. The Sentinel-3 mission is based on a constellation of two identical satellites. This is the first spacecraft in the duo, with Sentinel-3B set to be launched next year on an Arianespace Vega rocket. 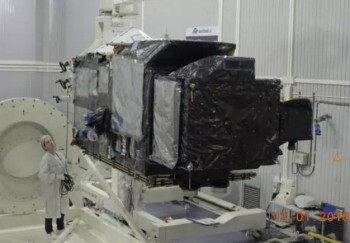 The spacecraft’s instruments include the Ocean and Land Colour Instrument (OLCI), covering 21 spectral bands (400–1020 nm) with a swath width of 1270 km. The Sea and Land Surface Temperature Radiometer (SLSTR) is also onboard, covering 9 spectral bands (550–12 000 nm), dual-view scan with swath widths of 1420 km (nadir) and 750 km (oblique view). 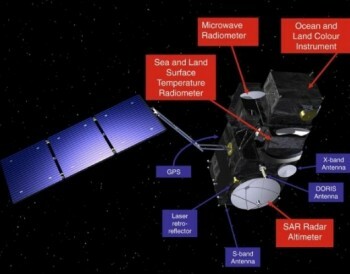 The spacecraft also sports a Synthetic Aperture Radar Altimeter (SRAL) Ku-band (300 m after SAR processing) and C-band and a Microwave Radiometer (MWR) dual-frequency at 23.8 & 36.5 GHz. The spacecraft uses a high inclination orbit (98.65°) for optimal coverage of ice and snow parameters in high latitudes. The orbit inclination is the angular distance of the orbital plane from the equator. The orbit is a near-polar, sun-synchronous orbit with a descending node equatorial crossing at 10:00 h Mean Local Solar time. In a sun-synchronous orbit, the surface is always illuminated at the same sun angle. The spacecraft is expected to serve on orbit for seven years.